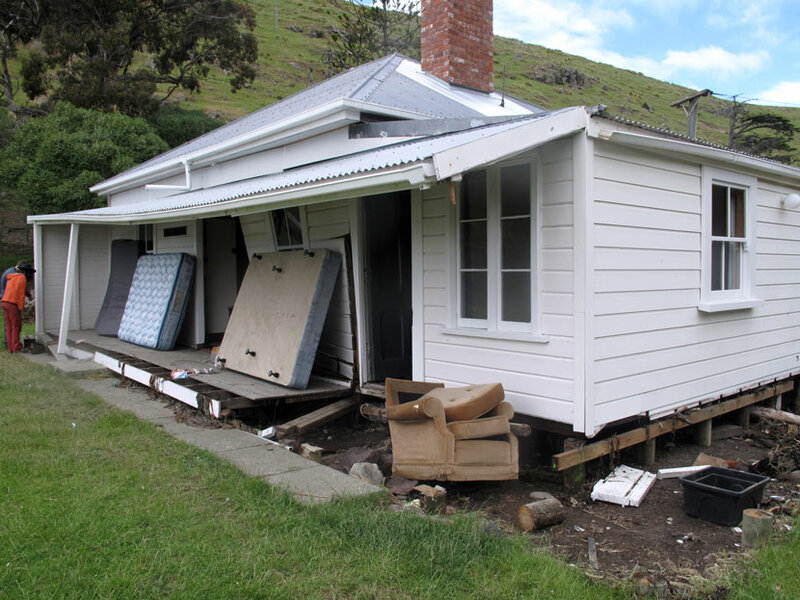 The only major damage caused by the Kaikōura tsunami was to the Little Pigeon Bay cottage on Banks Peninsula. Although the tsunami caused by the Kaikōura earthquake of 14 November 2016 was barely a metre high near Christchurch, the effect of water being pushed into a narrow bay produced a 3-metre high tsunami at Little Pigeon Bay. Its force wrenched the historic cottage off its foundations and damaged external walls and a deck.